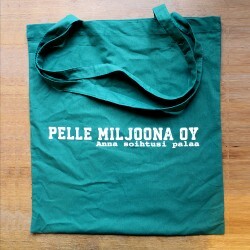 PELLEKAUPPA There are 38 products. 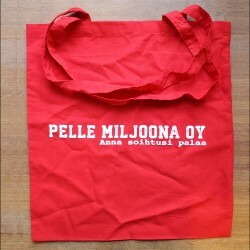 Pelle Miljoona OY -cloth bag for LP:s and everyday shopping! Black Pelle Miljoona OY -zipper hoodie. Dark blue Pelle Miljoona OY -zipper hoodie. 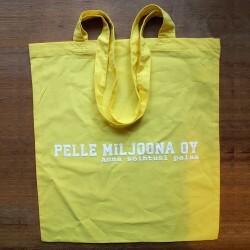 Black Pelle Miljoona OY Anna soihtusi palaa t-shirt.